Once again, the most convenient of places seemed to be taken for granted as one knows it will always be there. 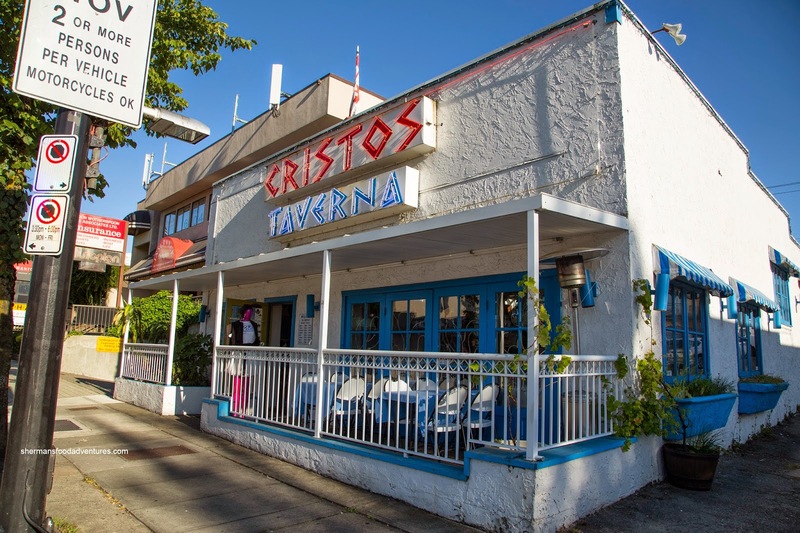 For me, Cristos is just another Greek restaurant that I pass by on the way home. So there I am traveling all the way to places such as White Rock and Langley for eats and completely ignoring my own backyard. Hence, when we decided to head out for eats, we finally decided to try out Cristos with the family, including my parents. We began with 3 appies including the obligatory Calamari. It was served with a heaping dollop of thick and smooth tzatziki which was laced with enough lemon and cucumber for impact. 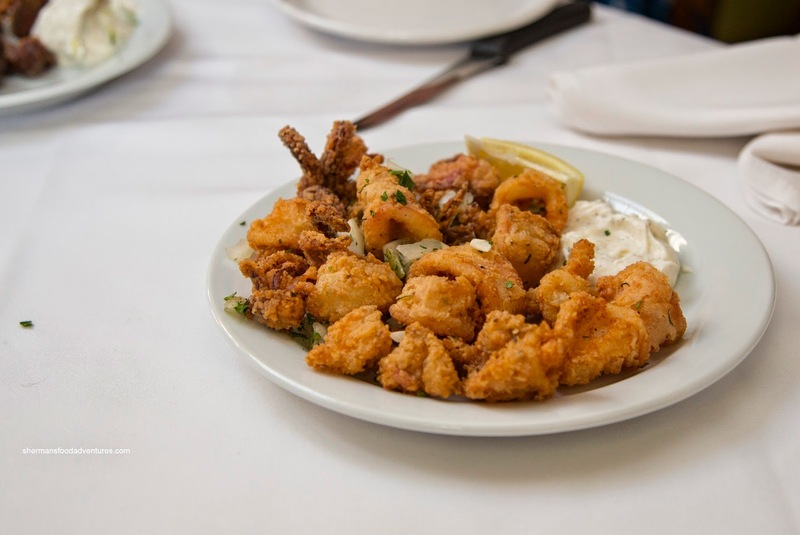 As for the calamari itself, it was coated with a light crispy batter than remained adhered to each piece of squid. The batter was properly seasoned while the squid was on the chewier side, yet not tough to eat either. 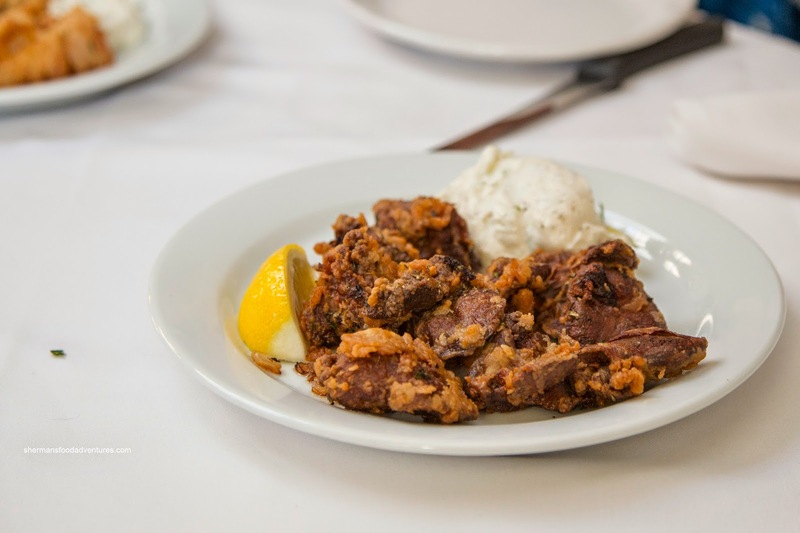 We also got the Chicken Livers which were also fried with a light crispy batter. These were not incredibly dry, so there was still a bit of moisture in the middle. Again, the batter was seasoned, which ensured that there was flavour beyond dipping each liver into the tzatziki. 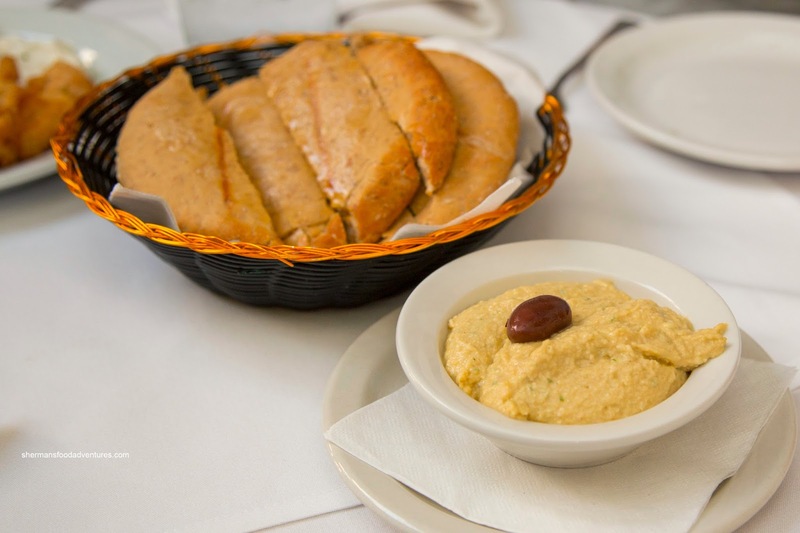 Our last appie was the Hummus served with a basket of whole wheat pita bread. They were toasted up crisp while still soft in the middle (as soft as whole wheat can get). The hummus itself was smooth and well-seasoned. There was a definite lemon hit as well as garlic. For my main, I had the Mousaka that featured a creamy layer of bechamel. It was just thick enough (as in size) to provide a "sauce" rather than overwhelming the entire dish. The tender slices of eggplant and zucchini sandwiched the moist nuggets of ground beef. Once again, this was seasoned just enough with a hint of nutmeg and cinnamon. 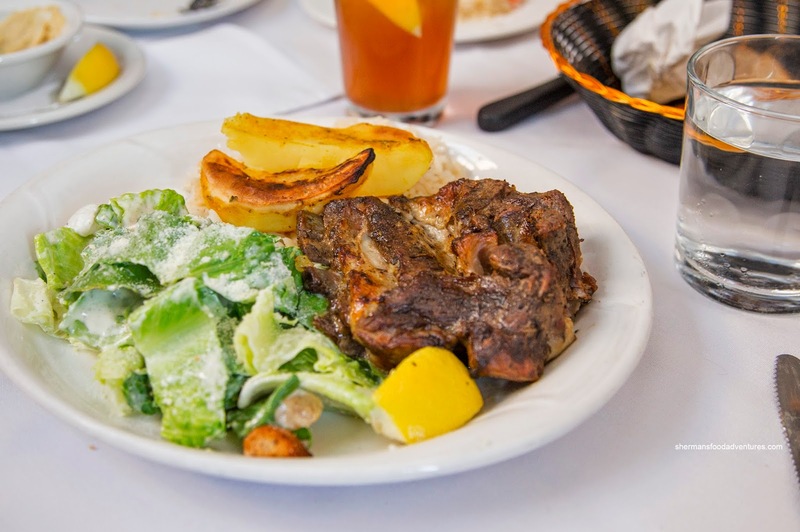 My mom had the Roast Lamb and it was a decent portion. Although the exterior was a little big dry and stringy, the inside was sufficiently moist and well-seasoned. The rice was a little bland, but did have a nice texture being chewy while not hard. She had a side of Caesar salad and it featured crisp romaine with a light toss of dressing (which was pretty standard). 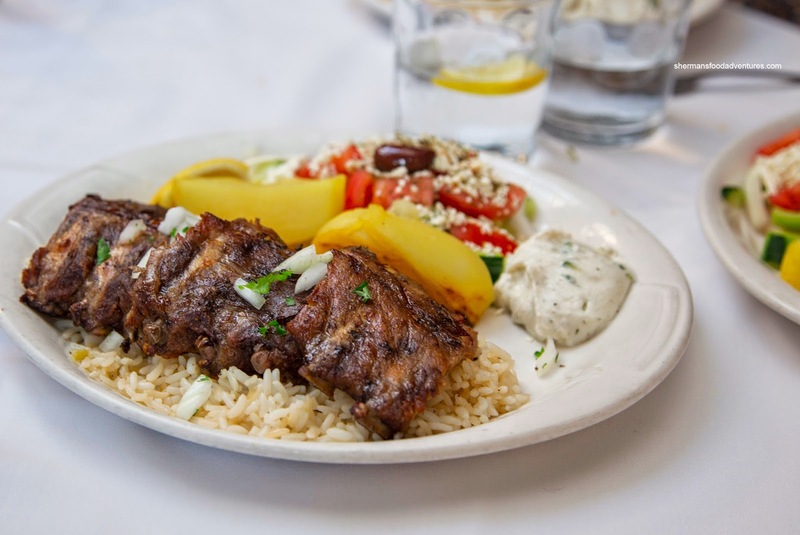 My dad had the Greek Ribs which was also a good portion. Again, they were a little dry, but okay nonetheless. They were properly seasoned where there was enough flavour without being salty. 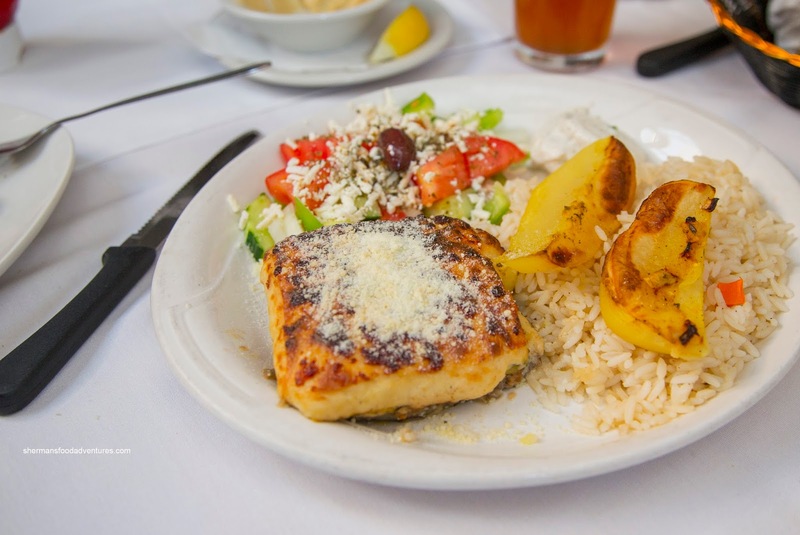 The Greek salad was fresh and topped with plenty of feta. 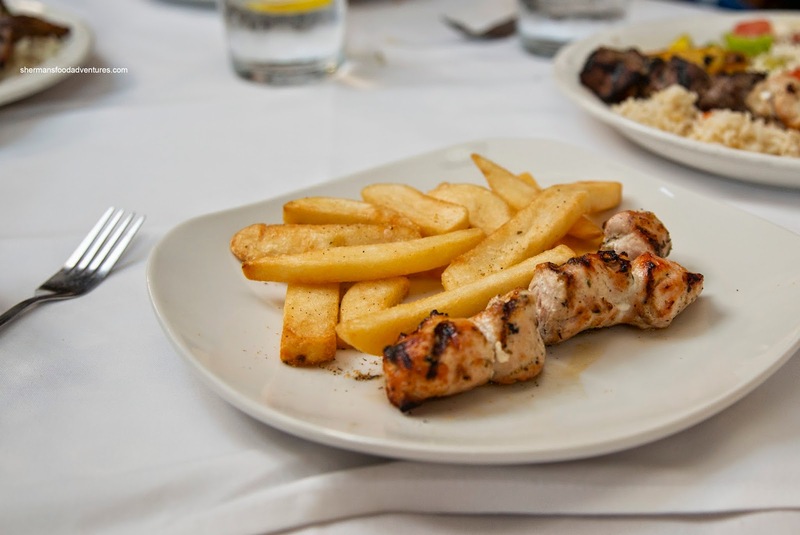 Viv went for the Beef & Chicken Souvlaki and it was also well-seasoned. We found the chicken to be rather moist for being white meat. There was an attractive char that added another layer of flavour. As for the beef, it was on the chewier side, yet not dry. It also had a nice char which added a smokiness. My son shockingly agreed to a Kid's Souvlaki (not sure he would like the spices) which he finished. It was consistent with Viv's dish in terms of texture while exhibiting a bit more char. Fortunately, it came with steak fries, so he didn't have to go through therapy seeing all those veggies on his plate. 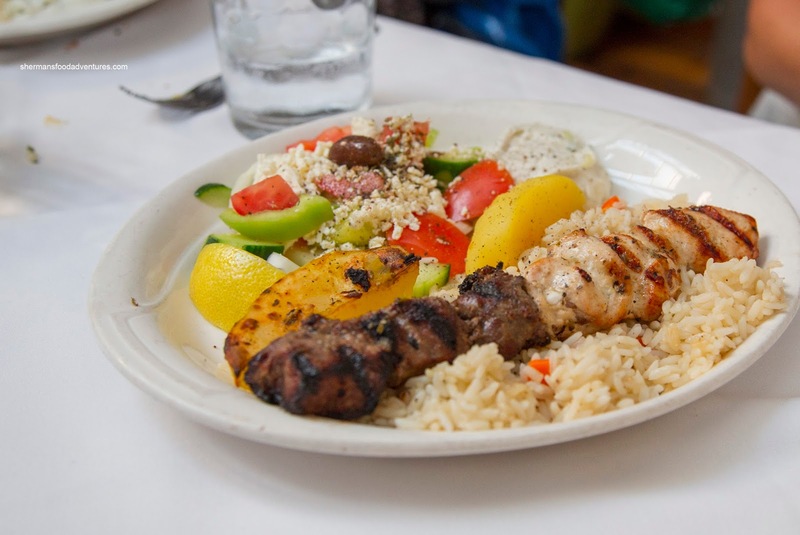 Overall, we enjoyed our meal at Cristos as it was generally well-prepared and adequately portioned. The service was pretty good as well.